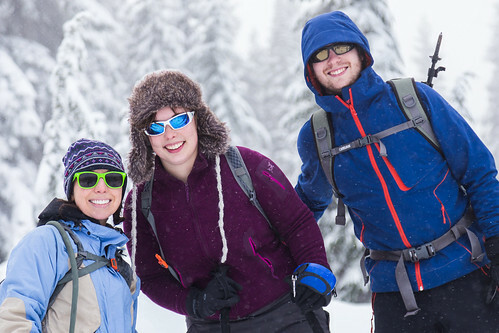 Lynn, Tanya, Paul and I headed up to Skyline Lake for a short and invigorating snowshoe. We expected clearer skies, but the snow wasn't a disappointment, either. This trail is right across US 2 from the Stevens Pass ski area. More photos here.